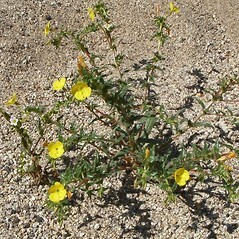 California suncup is endemic to a small portion of the southern California and northern Mexico coast. Its only known North American collection outside this range is from the waste area of a nineteenth-century wool-carding factory in Massachusetts. 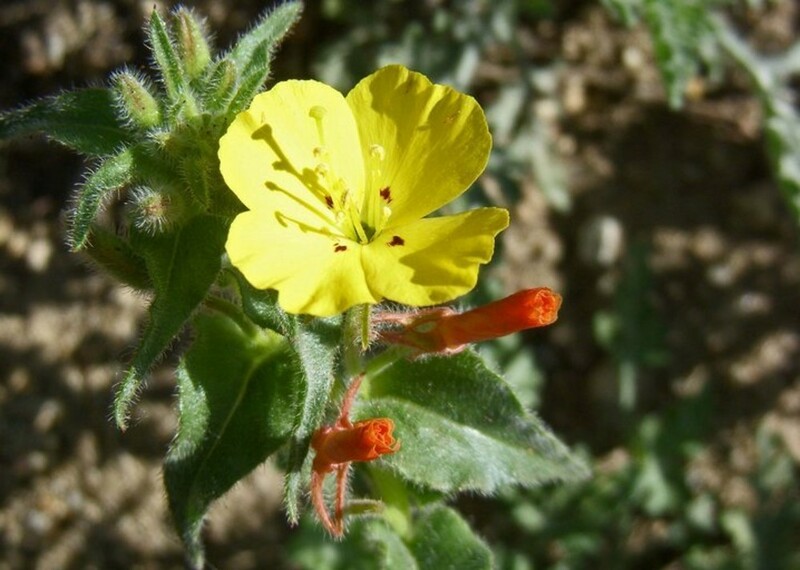 fruit 0.7-2 mm wide, terete in cross-section, with shiny seeds, and plants mostly 5-50 cm tall (vs. fruit 1.5-2.5 mm wide, quadrangular in cross-section, and plants mostly 50-80 cm tall). 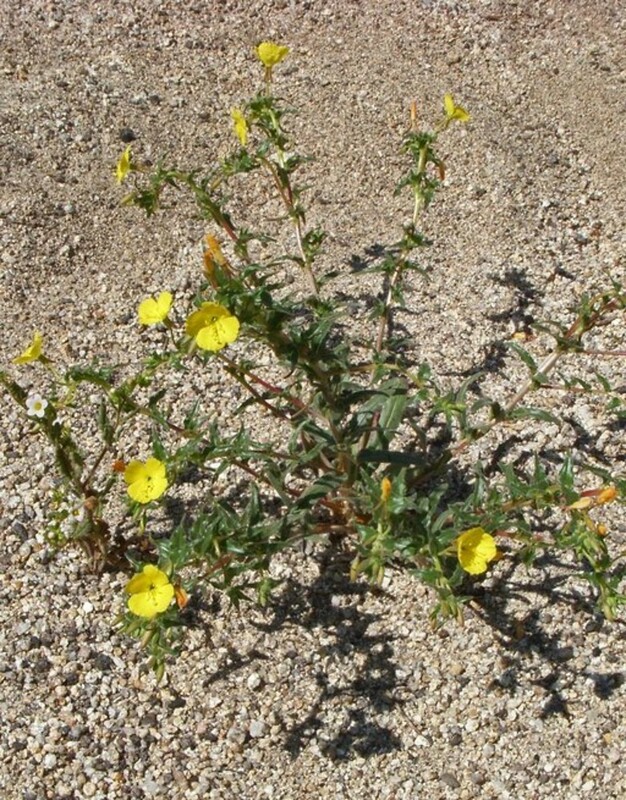 California suncup. 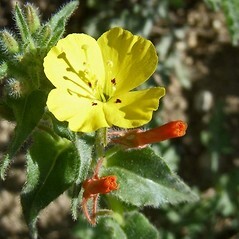 Oenothera bistorta Nutt. ex Torr. & Gray • MA. Wool waste.